although I do not have much experience with Open ODS objects yet I would say that the Open ODS can be considered in terms of LSA++ as the same as PSA object in LSA world. The Open ODS or Open Operational Data Store Layer is LSA++'s inbound Layer or acquisition layer. 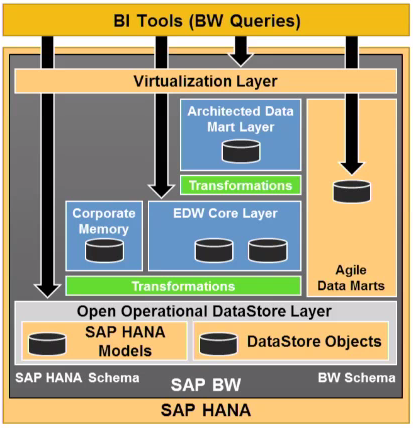 It serves its purpose for operational BI, agile BI and streamlined EDW. It also serves for real time replication if data into BW, it can be used for immediate querying acquired data as there is no staging into EDW needed. It can be used as source for persistent EDW providers.